It has been a long-long time, I know. 1. 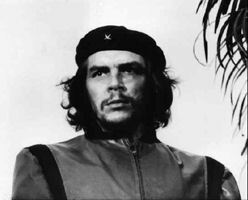 I was in vacation in Cuba (kisses to dear Che Guevara) and had some hard time to adjust to the regular life and its routine. 2. My partner to life brought me a puppy (which now is quite a horse I have to admit) and this lovely creature stole all my attenetion. 3. I got a little bit frustrated from the fact that all of this blog pages (except the homepage) got into the supplemental results on google. Wanna read the real reason for my coming back? I want to test this supplemental results thing. Some say that you can get out of this lousy situation by simply getting your pages linked to eachother. This entry was posted on Sunday, July 22nd, 2007 at 10:46 pm and is filed under seo meditating. You can follow any responses to this entry through the RSS 2.0 feed. You can leave a response, or trackback from your own site.